To make your home-based treatment or home health care easier, Sun Discount Pharmacy offers durable medical equipment that you can use in a private home setting. Whether you use it yourself or with the help of home health care professionals, we assure you that these are products that you can trust. 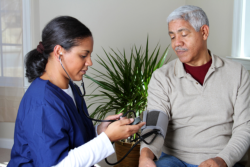 Call 941-556-9622 and inquire about our home health aid products today.